Digital Chocolate’s Brain Tester 24 Pack offers 24 individually playable mini-games that evaluate skills in four different areas (perception, memory, spatial and logic) as well as a test mode, which includes a mix of all four and gives players an overall brain score. Games are cleverly designed to work well on a mobile by simplifying the buttons needed to interact with it, and more importantly are interesting and fun to play. 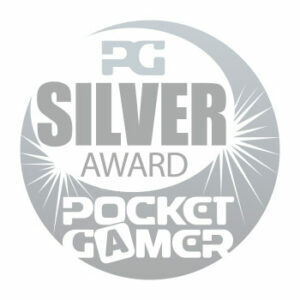 Brain Tester 24 Pack, conceived and developed entirely by the Barcelona studio mobile games unit under my management, was awarded a PocketGamer Silver Award in 2008. Brain Tester 24Pack is good, wholesome thinking fun, crammed full of well-designed and interesting games and served up with Digital Chocolate’s trademark visual polish.